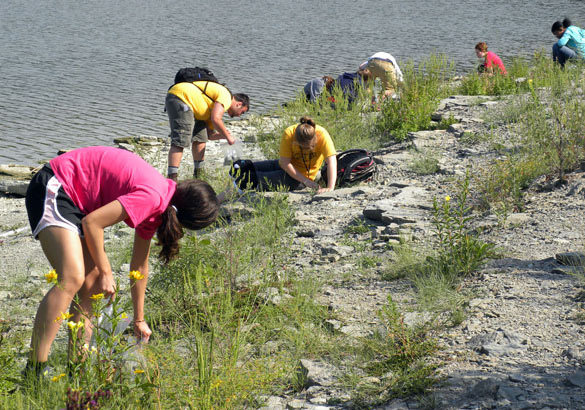 CAESAR CREEK LAKE, OHIO–The 2011 Invertebrate Paleontology class had a productive field trip on a beautiful Ohio day. Thunderstorms roamed the state, but we saw them only when we were comfortably on the bus. 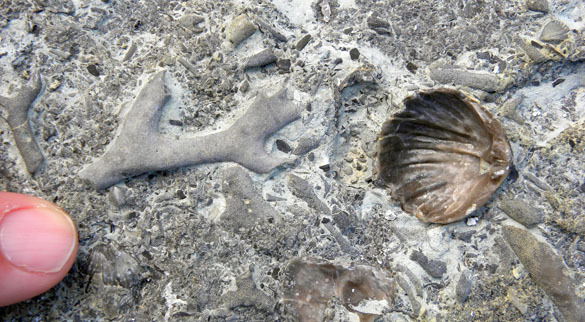 The fossils are in the Arnheim, Waynesville, Liberty and Whitewater Formations of the Richmondian Stage in the Cincinnatian Series of the Ordovician System. These are shaly units with shell-rich limestones formed during storms. Brachiopods, bryozoans, crinoids, trilobites, clams, snails, nautiloids, corals — the whole Ordovician menagerie. Perfect for student collections and our later exercises. Brachiopod-rich storm layer in the Liberty Formation. Note the circular bryozoan attachment. 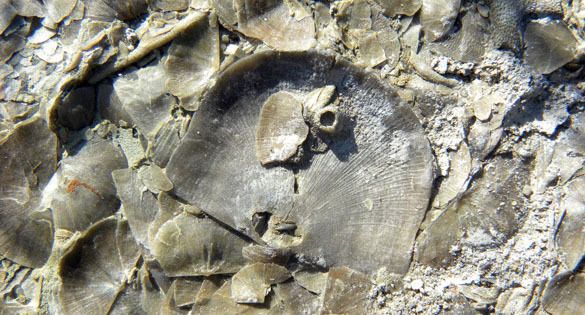 Bryozoan colony and brachiopod shell interior from the Waynesville Formation. Our fancy bus. The design insures that the back seats are rather bouncy. Last of the summer flower field photos! It was such a beautiful day.